Kang & Co Helping You Avoid a Driving Ban for totting up 12 pts or more. Facing a totting up driving ban? Kang & Co’s totting up solicitors may be able to help. The experienced motoring offences team at Kang & Co Solicitors have successfully advanced exceptional hardship applications for clients facing a totting up ban. If you are being prosecuted for a driving offence which could result in a totting up ban, drop us a message. You can get in touch via our Contact Form or call 0345 222 9955 to see how one of Kang & Co’s totting up solicitors can help save your driving licence. A totting-up driving ban occurs when a motorist accumulates 12 or more penalty points upon their driving licence. 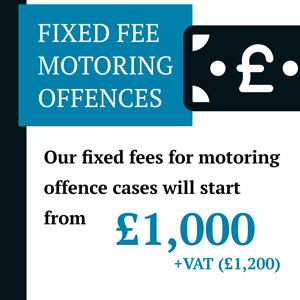 As an example, a motorist may have 9 active penalty points on their driving licence and then the motorist commits a further offence such as speeding for which the Court may impose a further 3 penalty points. This will result in a total of 12 penalty points. Once a motorist accumulates 12 or more active penalty points, the Court will impose a totting-up ban (driving disqualification). This is sometimes referred to as a being a ‘totter’. Once a motorist receives a ‘totting up’ driving ban, the Court will impose the statutory period of a penalty points disqualification, which is a minimum period of 6 months driving disqualification. The minimum period ban will be 12 months if there has been a previous disqualification for a period of 56 days or more imposed within the past 3 years. Are You Facing A Potential Totting Up Ban? Then Kang & Co Solicitors truly specialist totting-up solicitors & barristers can help. A totting up ban can be avoided if an exceptional hardship application is accepted by the Court. An exceptional hardship application is more likely to be successful if it is assessed and advanced by a highly skilled and experienced motoring offence solicitor. If you appear in the Magistrates Court as a ‘totter’ and either do not make an exceptional hardship application or are unsuccessful with the exceptional hardship application, the driving disqualification will have an immediate effect. If you are appearing in Court as a ‘totter’ you should either attend using public transport or have arrangements for your vehicle to be driven back home. This is because the disqualification will be imposed immediately. Drivers that have held a full driving licence for less than two years are classed as ‘newly qualified drivers’ and in that period can only accumulate a maximum of 6 penalty points, as opposed to 12 penalty points. In circumstances where a newly qualified driver accumulates 6 or more penalty points on their driving licences, the driver will have his/her driving licence revoked and is required to pass another driving test. A totting up driving ban can have a significant detrimental impact on employment, family life and social life. Motorists tend to take driving for granted, however, if you are facing a totting-up driving ban, there is a high risk that you will be disqualified from driving, which could potentially result in unemployment, which in turn may transpire into difficulties in paying the mortgage/household bills and family disputes. If you are facing a totting-up driving ban and are considering making an exceptional hardship application to save your driving licence, contact our experienced driving offences solicitors on 0345 222 9955 or fill out our enquiry form so that you have the best chance at saving your driving licence and possibly your job. Our motoring offence solicitors have an excellent success rate at advancing exceptional hardship applications and convincing the Court not to disqualify our clients from driving. 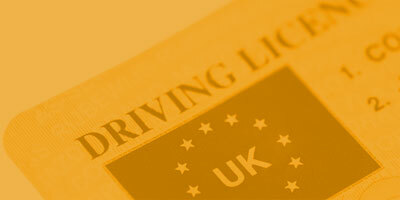 We regularly represent clients facing driving bans around the country. Do you require a solicitor? Please don't hesitate to get in touch with us. Use our quick contact form below and a member of our experienced and professional team of solicitors will contact you as soon as possible to discuss your requirements and your options. Kang & Co Solicitors is a truly specialist high-end law firm providing advice and representation for all driving offences, criminal offences, regulatory law cases, transport law cases and licensing. We are a law firm with our HQ in Birmingham, alongside offices in London and Milton Keynes. We offer our solicitors and barristers services nationwide on a private fee-paying basis. Kang & Co Solicitors is the trading name of Kang & Co Solicitors Limited, a limited company registered in England & Wales. Company Registration No. 10350638. Kang & Co Solicitors Limited is authorised and regulated by the Solicitors Regulation Authority (SRA) under SRA No. 638269. A copy of the SRA Code of Conduct can be found at www.sra.org.uk. A list of our Directors is available for inspection at our Registered Office.